Pool Renovation Souderton, PA | Coronado's Pool Renovations, Inc.
Coronado’s Pool Renovations specializes in Pool Renovation! 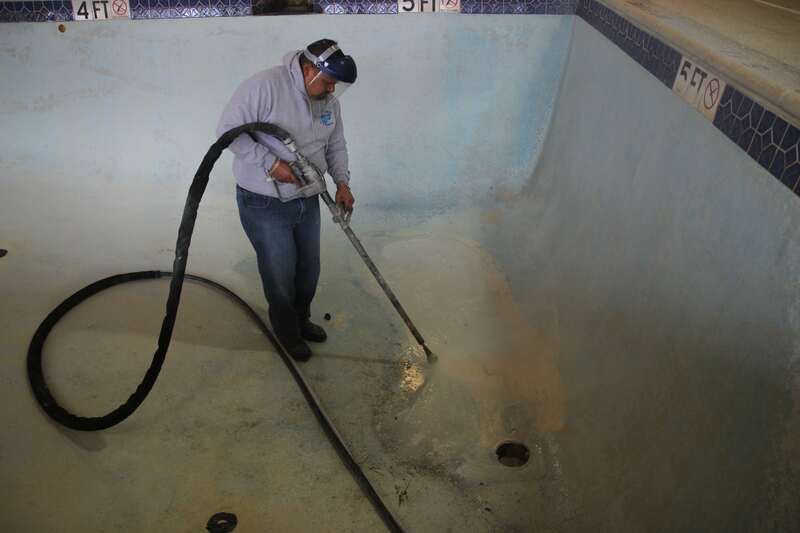 Coronado’s approach to each swimming pool renovation project is the same: provide timely communication with the property owner about the sequence of renovation, install the finest quality materials by highly-skilled workers, and keep the job site safe and clean. By their very nature, pool renovations can be messy; however, Coronado’s crews are trained to minimize any problems during the course of construction. Our ultimate objective is your complete satisfaction. Draining the swimming pool and beginning to remove old coping. Saw-cutting the deck to provide needed spacing from pool beam. Preparing swimming pool “bond beam” for tile and coping installation.